Toward the end of last school year, Johannah spent an extra special day at Redd Elementary, the local school where the Art 180 program she led took place. 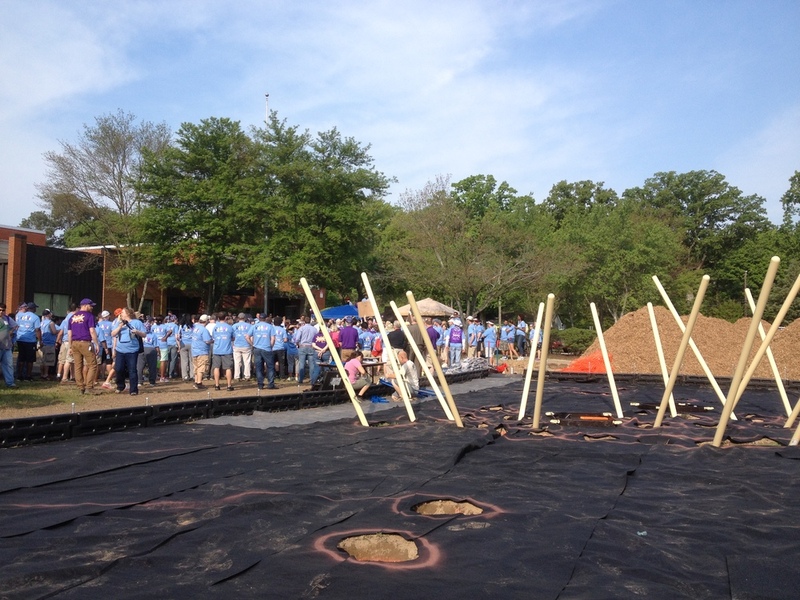 On this particular day, hundreds of volunteers from Kaboom and Carmax gathered on the school grounds. 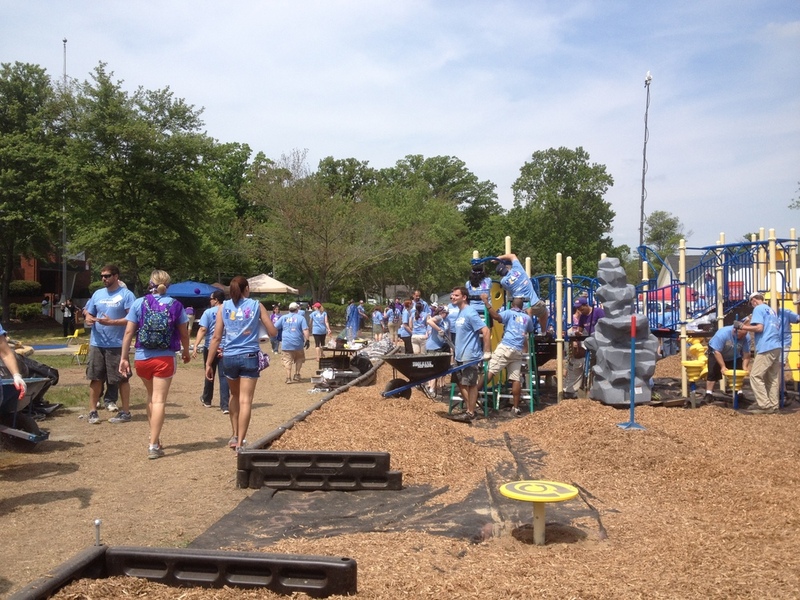 The goal was to build a new playground, a memorial for a student who had died, in one day. This was the scene when I arrived in the morning. Around the corner, a field day was set up for the students. One of the activities was building a mosaic for the playground based on a teacher's design. One other adult leader and I led classes through the day in creating this mosaic lion, the school's mascot. The big smiles and hugs from the Art 180 kids when their classes came around was the best treat of the day. Around noon, I took a break to cool off and take a look around at the morning's progress. Pretty great for just 3 hours work! The other leader brought in a tent for the afternoon. What a relief to get out of the hot May-in-Viringia sun! We ran out of tile toward the end of the day, so we didn't quite get to finish the mosaic. But I thought our lion looked pretty handsome! And I was so impressed with the enthusiasm and joyful energy of everyone who participated. These were a few of the other projects that went up around the playground. Students and teachers finished filling in the mosaic this summer. A few weeks ago, Kyle and his assistant installed the panels on a wall near the playground. How exciting to finally see this project vertical!